I've tried both flavours of the Skinny Protein Cookies. I'm not really a big fan of Lemon and Chia Seeds anyway so will review the Cranberry and White Chocolate cookies. Pros: - Only 194 kcal so they can be eaten as a snack. Perfect for women who generally have lower metabolisms than men. This compares this to the 320 kcal protein cookie which I could never justify due to the high energy of it - Delicious. The cookie tastes really great. I recommend heating it up in a microwave for 20 seconds but is also good cold. You feel like you're having a high sugar naughty dessert but there's barely any sugar in it! Guilt free! - High protein (25g) so it keeps you full for AGES. It's the perfect size too so you don't feel bloated after eating. Cons: - So far there are only 2 flavours. I'm hoping for a dark chocolate variety soon but as a brand new product it's brilliant. 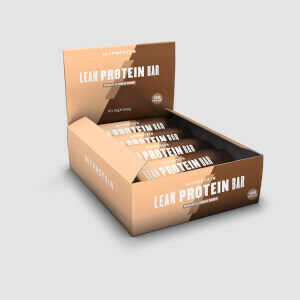 Nice one Myprotein! Not my favourite taste when eaten straight out of the pack, a bit bland but the macros are good. Solution - 20seconds in the microwave to soften and it tastes much better. Got one of the cranberry & white chocolate cookies in the active women sample box and was keen to try it but was a bit disappointed. 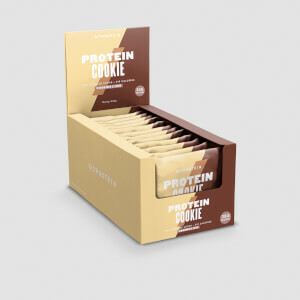 I love myprotein, hence 2 stars rather than 1, but it didn't taste like a cookie at all, just powdery and dry in your mouth. Could taste the cranberry but not the white chocolate, won't be having it again! I've bought a box of these and woudn't give them to my worst enemy. If you're really content on eating a cookie and need the protein and have no tastebuds, these will be ok. Otherwise, stay clear. I love these protein cookies, for the macros and how much protein you get in them, they are pretty darn good. Order these on a regular basis! Taste isn't awful, they are a little bit grainy but mostly enjoyable. These for me a really satisfying! They aren't your usual "cookie" texture, they are quite dense and have a gritty texture to them. Which I was expecting due to the height 25g of protein in n these cookies. I find them really satisfying when I'm after a quick sweet/sugar fix. I keep one in my gym bag for a nice snack. Always worth a try! Taste is good, its soft, but like most protein bars - its powdery. Its soft, which is my preference. The cranberry taste is great, cant really taste the white chocolate. My main issue was the powdery/dry texture when eating. Its quite common in most protein bars in my experience, and prevalent here too. Cant fault the macros though, its fantastic, and thats the most important thing really. Bought these for an after gym snack. The taste is awful. It's just a lump, no taste at all, massively disappointed. These cookies really shouldn't be called cookies, the have a more of a dense cake consistency. I bought both the dark chocolate and the cranberry and didn't really love either. Has a weird sweetness and to me nether tasted like the flavours they were supposed to be, especially the dark chocolate one. Really think MyProtein needs to rethink this product. 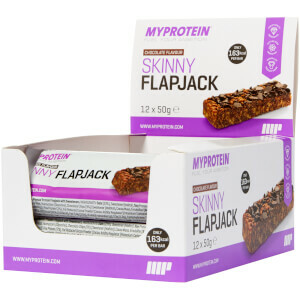 It is great that you're able to get a high intake of Protein without too many calories but most people will buy products like this to help with craving sugary snacks and to feel satisfied. All I feel after eating one of these is disappointment.